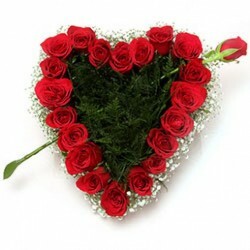 Roses are the love of life so it is reasonable to send them as Gifts when the loved one is ready to start a new year of their life. 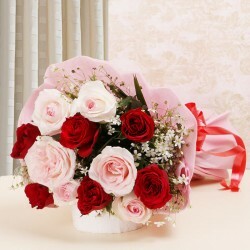 On the Birthday of a special person, send Roses to your Friends and Family and make their coming year more fragrant. Birthdays demand to be celebrated. With Friends, family and all the loved ones in the gathering, growing old doesn't bother at all. Birthdays are all about fun and gifts and if the Birthday of your loved one is near and you are looking for a Gift for them then, we have just the right option for you. This year, take the fragrant route and wish your loved one with Roses. 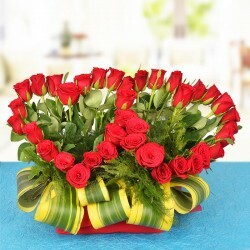 Celebrate their birthday by gifting a friend or a family member with Roses. 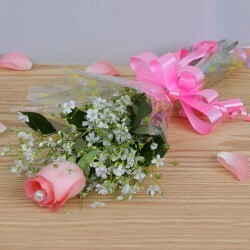 At MyFlowerTree, you will find the most fragrant and well-blossomed Roses. 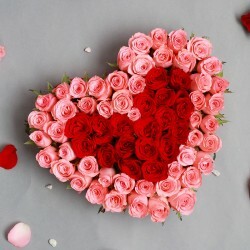 There can be nothing more beautiful than the Roses and if you want to know why they are the perfect gifts, then, read the following. Roses are one of a kind. When it comes to flowers, it is an absolute favourite of everyone. The reason is pretty simple. 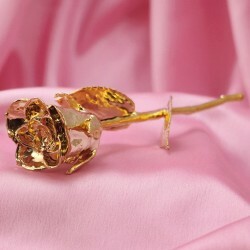 Roses are available in many colours and each colour has a significant message. 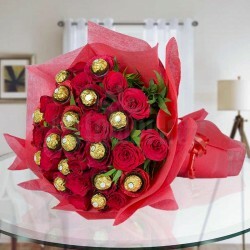 So, you can send one to the birthday boy or girl irrespective of your relationship with them. 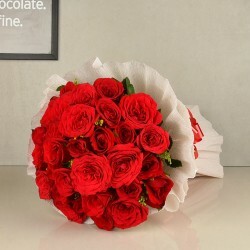 For example, if it is the Birthday of your fianc, husband, wife, girlfriend or boyfriend, you can wish them on their birthday with Red Roses. 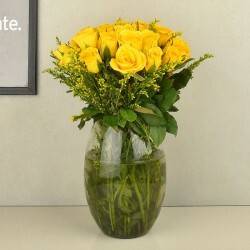 You can wish your friends with Yellow Roses, Wishing your Boss or colleague with White Roses is an amazing option. Yellow, Red, Orange, White and Pink; these beautiful Roses are available in various Bunches, Bouquets and other arrangements. 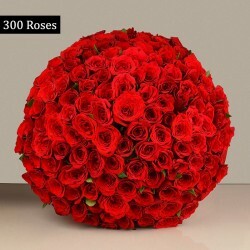 If you want to make the Birthday of your loved one special then you can wish them with these perfect Rose Combos in which we have combined Roses with other Birthday Gift items like Mugs, Cushions, Cakes, Jewellery, Greeting Cards and more. Just select a combo that you are sure is going to make a loved one's Birthday special and get that delivered at their door step. Celebrating a Birthday without Cake is the dullest thing that could be done. So, along with some beautiful Roses, send a Cake too to your Birthday boy or Birthday Girl. We have some amazing flavours like Pineapple, Vanilla, Strawberry, Kiwi, Mango,Nutella, Chocolate, Chocolate Truffle, Black Forest, Butter Scotch Cake, German Chocolate, KitKat, Gems, Oreo, Oreo Cheesecake, Cheesecake, Hazelnut, Personalised Photo Cake. Roses and Other Flowers for Birthday Surprise. 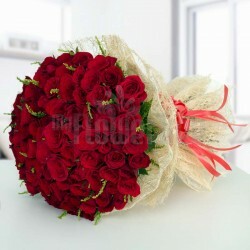 With different colours and fragrance, we have so many other flowers as well which are perfect to be sent as gifts to your loved ones on their Birthdays. Each Flower and their colours stand for different emotions. With Lilies, Gerberas, Birds of Paradise, Orchids Carnations and more you can make Birthdays fun and colourful for everyone. 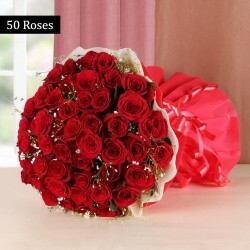 Do not think twice and place an order for Birthday Roses for your loved ones. Make this Birthday fragrant for them. Products in this category have been rated 5 out of 5 based on 140 reviews.